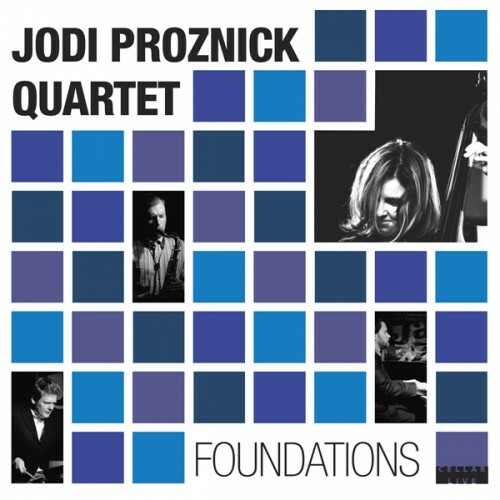 Just a quick reminder to all members of both Senior and Junior Jazz Ensembles that we have our clinics with bassist Jodi Proznick on Monday this week to prepare for Jazz Café on February 11. Senior Jazz Ensemble 10-12 will start promptly at 6:45am as we want to be warmed up and prepared for our 7:00-8:00am clinic. Junior Jazz Ensemble 8-9 will start right at 11:40 with the altered bell schedule and will be extending our lunch rehearsal until 12:45 to maximize our time. I have already informed grade 8 teachers about our extended rehearsal and have had no concerns voiced regarding being late back to C2 after lunch. If your family hasn’t bought tickets yet, visit http://poppyjazzcafe.brownpapertickets.com quick and I’ll see you in Monday’s rehearsals! We’d like an opportunity to chat face to face about upcoming events with any and all interested parents. It will be a brief meeting to touch base as we head into second semester with coffee and dessert so we hope to see lots of people out for this evening. The DW Poppy Music Department is proud to present a new event this year, the Poppy Jazz Cafe. Held at the Fort Langley Community Hall (9167 Glover Rd, Fort Langley, BC), this evening features music by our Junior and Senior Jazz Ensembles, our vocal jazz ensemble Poppy Vox, and guest artists, the Jodi Proznik Quartet. The performances begin at 7:00pm and we look forward to celebrating the work of our young musicians and hearing the fabulous music of our Juno-nominated guests. Tickets are $8 for adults and $4 for non-performing students online at http://poppyjazzcafe.brownpapertickets.com – email ahead if you are unable to purchase tickets online. For those who do not pre-order, there may be limited tickets at the door $10 for adults and $5 for students. We look forward to seeing everyone there! On Wednesday, March 2, we will again be hosting the elementary bands from Coghlan, Fort Langley, North Otter, and Peterson Road along with the DW Poppy Elementary Honour Band. Band 10 and Senior Wind Ensemble will be performing their massed music as guest artists for the evening. The show will start at 7:00pm but Poppy students do not need to arrive until 7:30pm for their brief performance as they have their main concert the following week. As we head off for spring break, this evening is a more traditional concert featuring our including Redhawks Voices, Senior Chamber Choir, Band 8, Band 9, Band 10, and Senior Wind Ensemble. Students have a 6:30pm call for this event and admission is by donation at the door. The second newsletter for the Junior Tour to the Sun Peaks ConBrio festival went home with students on January 12th & 13th and a copy has also been emailed home. Updated Fundraising Balances have been posted in the band room hallway so students know how much they owe. Please ensure that your child’s final payment ($300 less their fundraising total) along with the permission and medical form is returned by Monday, February 1. If you have any concerns regarding making the financial deadline, please contact Mr. Follett (mfollett@sd35.bc.ca). The second tour payment of $500 is due for those students participating in the Senior Tour to Montreal. If you have any questions regarding the Montreal Tour, please contact Mr. Ablitt (wablitt@sd35.bc.ca). Please note that fundraising balances were updated this Monday as the initial balances did not include the dessert orders from the November Neufeld’s orders (my fault and my sincere apologies). Totals are now corrected, but if you have any questions, please let me know (mfollett@sd35.bc.ca). We hope to run a few more fundraisers to support individual student accounts before the end of the year. Any money raised after final tour payments can be refunded up to the value of the trip your chid participated in or it can be saved for next year’s tours. If you have an idea for an additional fundraiser or would simply like to help out, we hope to see you at the meeting on Monday night!